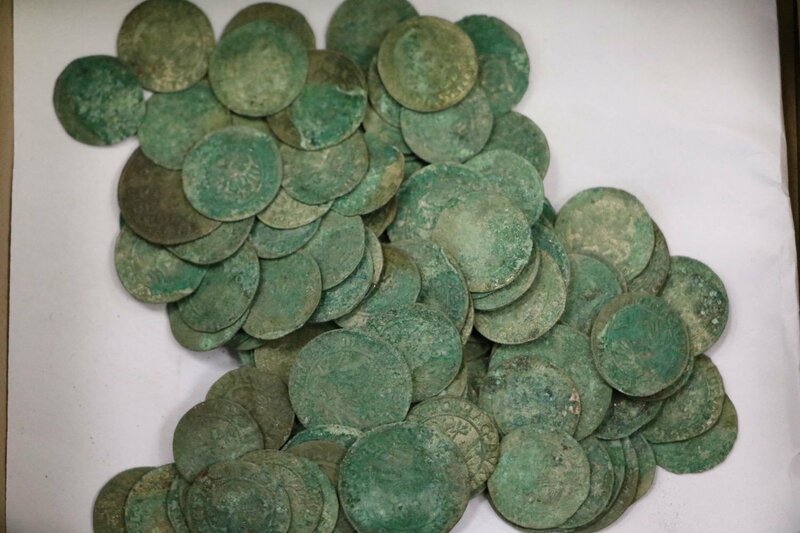 A clay pot with 350 coins dating back to the time of Sigismund II Augustus was unearthed on Monday by workers renovating Laisves Alėja, the main pedestrian street in downtown Kaunas, a news website reported. The treasure trove will be examined by specialists before being given to a museum, according to Kauno.diena.lt. "The treasure was found near the Romas Kalanta park. Pipes are now being laid here, and (the pot) was shoveled up by the excavator. It's hard to say now how deeply it was buried," it quoted Svaigedas Stoškus, head of the Kaunas unit of the Lithuanian Department of Cultural Heritage, as saying. "The town's defensive wall ran through this area. 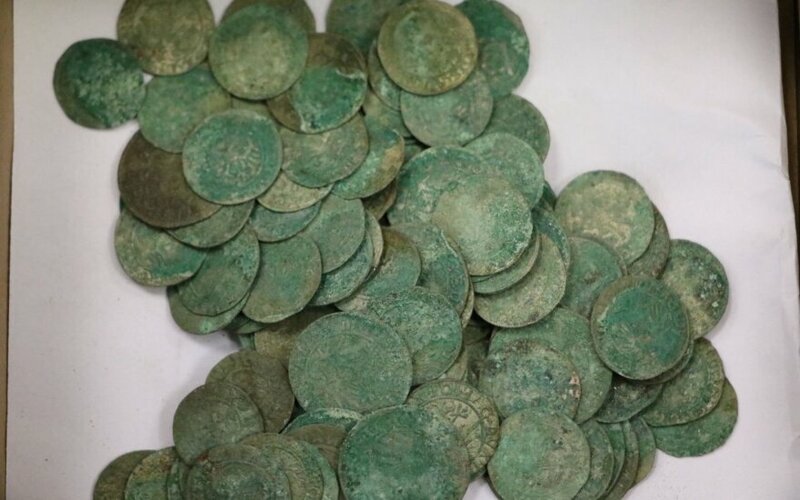 Apparently, someone buried the coins outside of the town but never recovered them," he said. According to Stoškus, the tin coins are in a good condition and the year 1566 is visible on one of them.